Less than 24 hours since the release of his latest studio album Prestige, Toronto recording artist Pressa is already sitting in the #1 spot on the iTunes Hip-Hop chart. 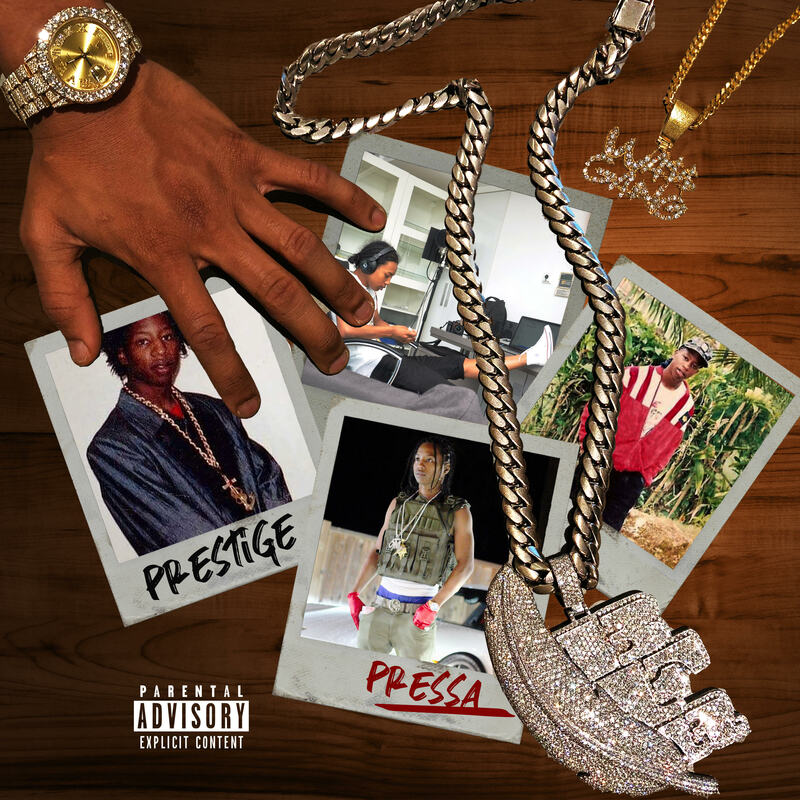 Named after Pressa’s father, Prestige is a 16-track project featuring appearances by fellow Blue Feathers Records artist Burna Bandz as well as budding Atlanta artist Lil Richie. It’s a perfect mix of a classic Pressa vibe, and the signature style he’s come to be known for. With standout singles like “Longway,” the Atomixx-produced “Should of Been a Pimp” and the latest, “Fox Fur,” Prestige is the first project from Pressa since 2017’s Pressa a Brick, but certainly worth the wait. Other producers featured on Prestige include Chris Pack, Divinchi and Parker Tolen. The BFR rapper released two videos in support of Presitge including “Long Way” (711K+ views since Feb. 2019), and the latest, “Should of Been a Pimp” which he co-directed with Krytical. After just a few days, that video has already been viewed over 35K times, and counting. Pressa has his album listening and release party tonight at the Ace Hotel in London, presented by I AM NEXT. Prestige is available on all major streaming platforms including Apple Music and Spotify.